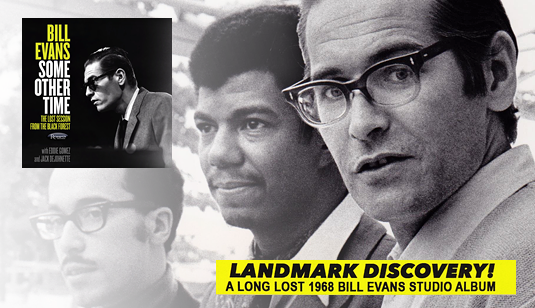 Never before released 1968 studio album by legendary pianist Bill Evans with Eddie Gomez and Jack DeJohnette. Recorded by Georg Brunner-Schwer and Joachim-Ernst Berendt at MPS Studios, Villingen, in The Black Forest in Germany. Special limited edition, exclusive Record Store Day 2016 hand-numbered 2LP set mastered by Bernie Grundman and pressed on 180 Gram vinyl at RTI, USA. 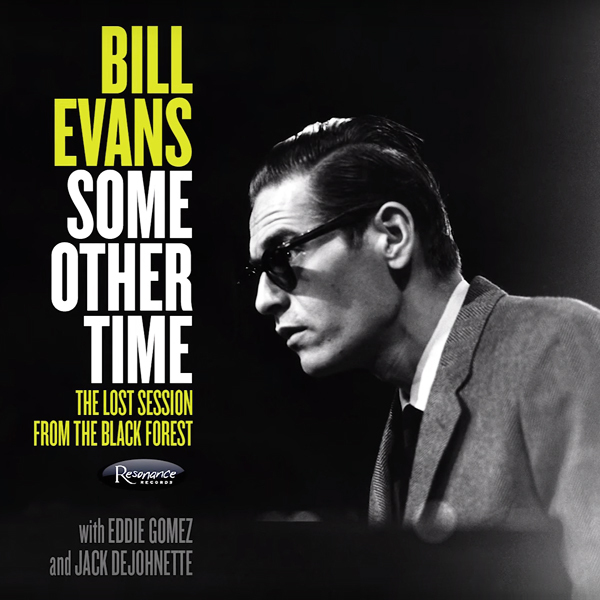 Newly unearthed studio session from the iconic pianist Bill Evans, Some Other Time: The Lost Session from The Black Forest is a landmark discovery for jazz listeners around the world. Unique studio recording made on June 20, 1968, five days after the Bill Evans Trio's triumphant performance at the Montreux Jazz Festival. Only the second album  and the only studio album to feature the Bill Evans in trio, duo and solo configurations with brilliant drummer, Jack DeJohnette, and great bassist and Evans Trio veteran, Eddie Gomez. 8 page booklet features interviews with Bill Evans Trio members Eddie Gomez and Jack DeJohnette and essays by celebrated author and critic Marc Myers, producer Zev Feldman and MPS Studios engineer and studio manager and German jazz authority Friedhelm Schulz, along with extraordinary rare and previously unpublished photographs by David Redfern, Giuseppe Pino, Jan Persson and Hans Harzheim, including two images by German Hasenfratz taken at the June 20, 1968 session. These recordings were only recently discovered in the Brunner-Schwer family archives. 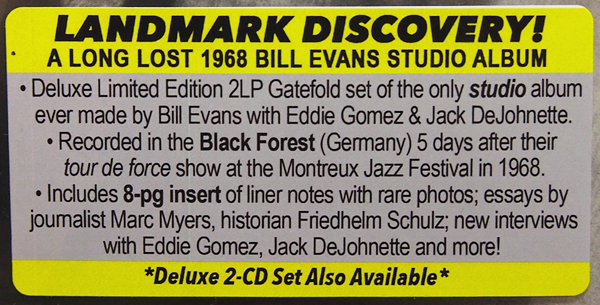 Bill Evans Some Other Time: The Lost Session From the Black Forest, a previously unknown and extremely rare studio album by the Bill Evans Trio recorded on June 20, 1968 by legendary German jazz producers Hans Georg Brunner-Schwer and Joachim-Ernst Berendt. Resonance will release this album  which has never before been issued in any form  on Saturday April 16, 2016 in a special limited-edition hand-numbered two-LP set on Record Store Day. 03. What Kind Of Fool Am I?